Canada’s federal government refused to participate or support the wind energy conference. It was up to other countries and institutions, including Germany and the United Nations, to provide funding for delegates from the global South to attend. “I’m embarrassed and ashamed,” Volker Thomsen, one of the chief conference organisers, told delegates at the opening of the meeting. Governments fail to vigourously switch over to renewables because the way things are works for them, said Scheer. The extremely powerful fossil fuel lobby also wants no changes so they can continue to profit from their investments in the current energy infrastructure. And that’s why letting the conventional power companies, utilities and experts take charge of renewables will lead to very little change, he warns. Not only is 100 percent renewable energy possible, it can be done much faster and cheaper than building coal or nuclear power plants, said Scheer. Multi-megawatt wind turbine farms and solar arrays can be up in running in 18 months. But when energy is needed, the first thing most governments want to build are big, expensive power plants. “The public and renewable energy sector must push governments and push them hard to change this,” Scheer stressed. 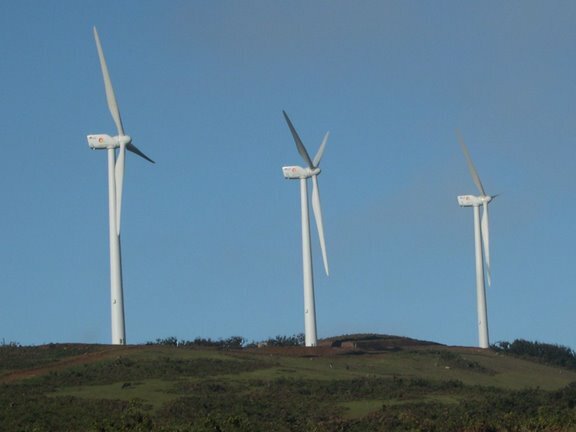 TORONTO, Feb 29 (Tierramérica) – Ecuador has taken the first step towards ending the oil dependence of its Galápagos Islands, in the eastern Pacific Ocean, with the official opening of a 10.8 million dollar wind energy facility on the island of San Cristóbal. 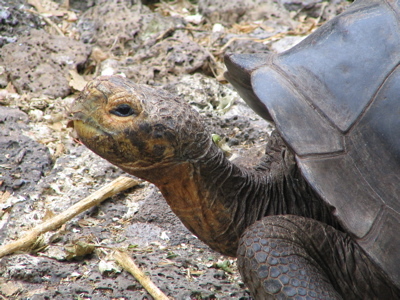 Ecuador’s President Rafael Correa toured the facility as part of a celebration of the 500th anniversary of the discovery of the Galápagos, and proposed to declare the islands fossil fuel free by 2015. Located 1,000 kilometres off the coast of Ecuador, the archipelago comprises 17 small and 13 large islands that are home to 30,000 people and visited by more than 120,000 tourists each year.